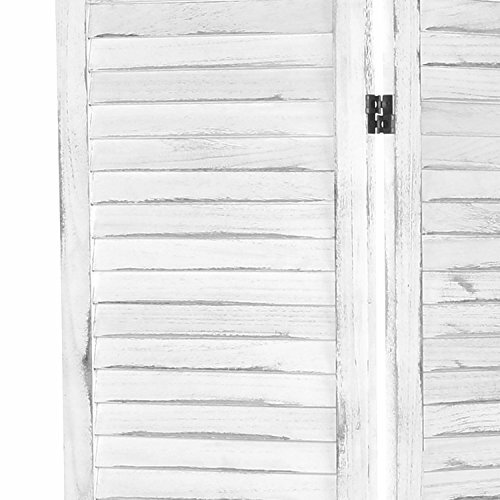 Bring rustic style to your home with this standing room divider. 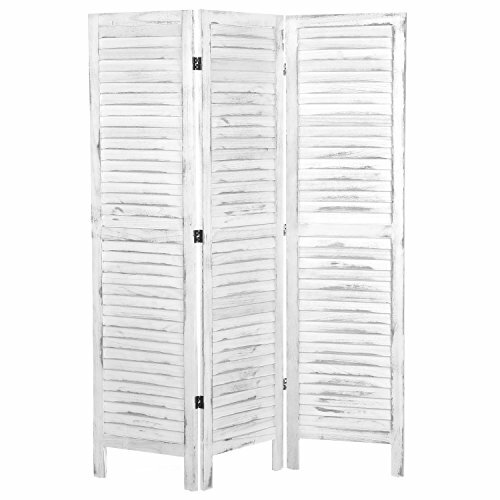 Made of sturdy wood, this charming panel screen boasts a louvered design similar to classic window shutters, and it also features a distressed finish that adds a homey, rustic touch to your home decor. The 3 panels are connected by hinges that allow you to fold up or extend this screen as you wish. Whether you want to divide up a large room, screen off certain areas, or add country rustic charm to your home, this standing panel screen is the perfect choice. 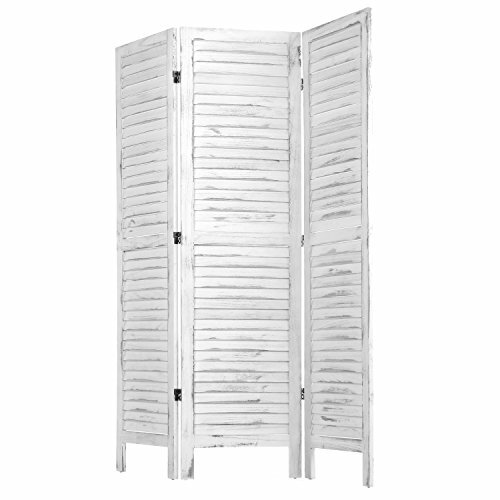 Approximate Dimensions (in inches): 53.25 W X 67 H X 0.75 D.
A panel screen made of wood with a louvered design and a distressed finish. The 3 panels are connected by hinges that allow you to fold or extend this screen as you wish. 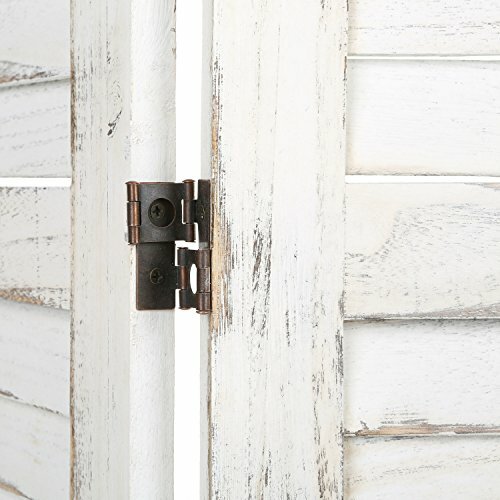 Perfect for dividing a room, screening off certain sections, and adding style to your home. Approximate Dimensions (in inches): 53.3 W X 67 H X 0.75 D.